Central Park in New York City is a great choice for engagement photos. 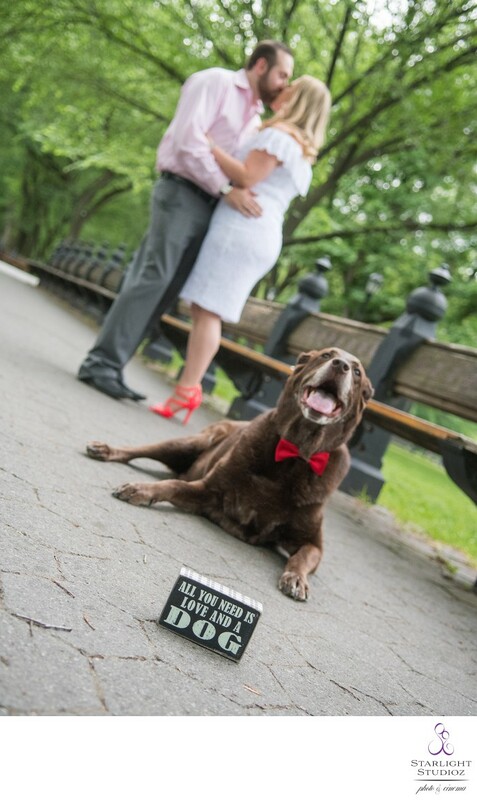 Biana & Scott wanted to incorporate their dog in the engagement photos. They even purchased this really cute sign that says, " All you need is love and a dog." What's great about Central Park is that couples and families can come take photos and spend time in this giant park and bring ones dogs. New York is super pet friendly and many even restaurants and stores permit dogs but mostly smaller dogs. The engagement photo shoot was on a hot New York summer day so we all drank lots of water to keep hydrated.